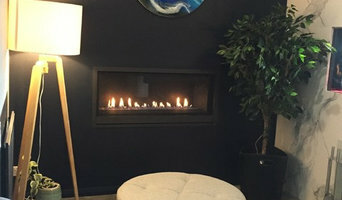 We are Geelong & the coast’s only fireplace & interior design store offering a range of wood fireplaces, gas fireplaces and designer fireplaces. Where style & function come together to transform your way of living. We’re redefining the art of modern fireplace & interior design. Our industry experts are dependable, knowledgeable & professional, creating bespoke living spaces & supplying luxury designer fireplaces. Being at the forefront of the modern fireplace & interior design industries, we collaborate with clients, builders & architects to create enduring designs that never go out of style. Our supply & installation service offers peace of mind for our clients. We pride ourselves bringing the very best quality in products and exceeding our client’s expectations by providing design and function solutions for any space. Only barbeque and fireplace shop on the Surf Coast. We do in home measure and quotes for fireplaces and outdoor kitchens. Fireplace designs vary, whether you are looking for a minimalist gas fireplace or a large outdoor fireplace. Hearths and fire pits can transform your backyard and offer an entirely new focal point in your Geelong, Victoria property. Really feeling original - try a chiminea! Chimineas bring the warmth and ambiance of wood fireplaces to any outdoor entertaining area. Since wood smoke contributes to air pollution, many cities have banned the use of wood-burning units. If you’d like to buy a wood burning unit, check the Geelong, Victoria city policies first. If your home already has a wood-burning unit that you’re concerned about, contact a fireplace manufacturer to replace your wood-burning unit with an environmentally friendly electric or gas alternative. Gas inserts can be efficient heaters and may lower your electric-heat bill. Many adjust to provide high heat on a cold night or a low-burning flame for ambience. Interior fireplaces and mantel designs are as varied as home interiors. From custom fireplace mantels made to conceal a flat-screen TV to custom hearth designs with elaborate Renaissance-style stone mantels, the latest designs can be found by visiting Geelong, Victoria fireplace showrooms. Find fireplace manufacturers and showrooms, plus fireplace installation professionals, on Houzz. 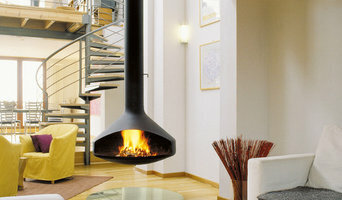 Go to the Professionals section to find Geelong, Victoria fireplace design and installation experts.